Inferno Drakes are masters of the fire they breathe, respected and feared in their tribes nearly as much as the draconic ancestors themselves. 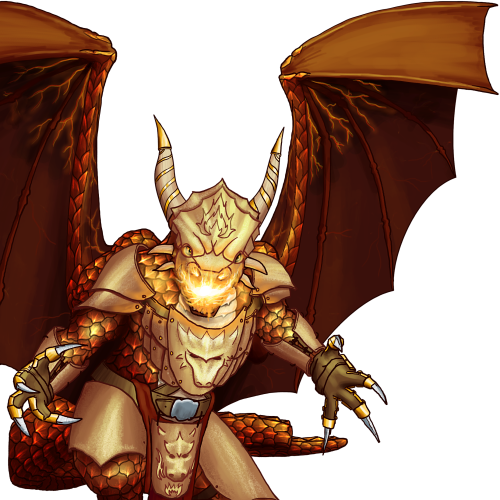 They can prowl unharmed through a firestorm of their own creation, scales tinged red from extensive use of their inner flame, their sculpted red-gold armor enhancing the illusion that they are, in fact, dragons. Last updated on Sat Apr 13 00:42:12 2019.